Our work on producing electronic editions of the work of story paper writer Mrs. Alex. McVeigh Miller continues today with the release of A Dreadful Temptation; or, A Young Wife’s Ambition, a relatively early work from her days writing for the New York Family Story Paper and the sixth complete Mrs. Miller novel converted to an eBook from Villanova Digital Library images. 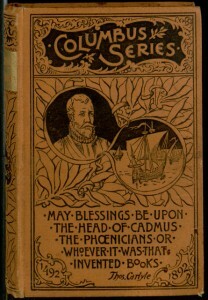 Our edition is derived from the hardcover reprint in the Columbus Series. Like all of Mrs. Miller’s novels, this one feels like the result of throwing a variety of melodramatic story paper tropes in the blender. The core plot involves a young girl marrying an old man for the sake of revenge, but we also have multiple maritime tragedies, a desperate plot to preserve a damaged reputation, and the usual set of highly-improbable coincidences to keep things interesting. While this certainly isn’t Mrs. Miller’s best work — it is hard to top a debut like The Bride of the Tomb — it is yet another entertaining example of late-19th-century popular reading. 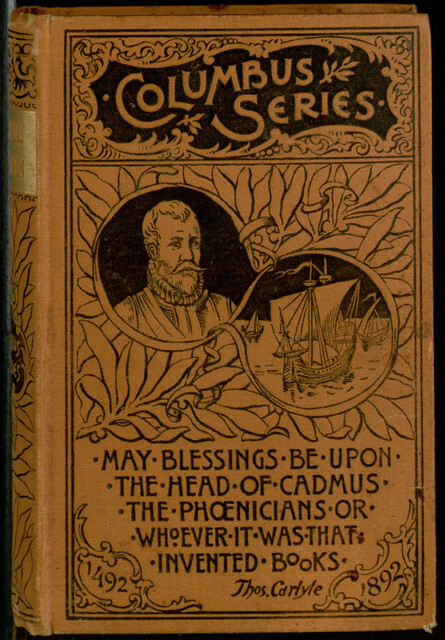 The book may be read online or downloaded in a variety of popular formats at Project Gutenberg.